You’re an accountant. You’re good at what you do and you pride yourself on giving your clients a service that’s second to none. Your busiest time of year is tax season: January is the month when the word ‘busy’ just isn’t descriptive enough! But when that is over how do you stay busy and profitable for the rest of the year? It may have been your busiest time but it’s also when you’ll have been liaising with your clients the most. You have just had a very good reason to be talking to them, and your services have been highly in demand. You’re probably didn’t have time to discuss much more than their tax return but based on what you know about their business this is when you can fill up your diary for a good part of the following months: you’d really like to talk to them about their future plans, growth, employees, pensions as you’ve got some great suggestions for them: how about a meeting in the next month or so? As a business owner yourself, you know the pressures your clients face. A new business owner, in particular, has to accumulate a vast amount of knowledge: the learning curve is incredibly steep. And that includes all the things you need to be discussing with them: PAYE, VAT, personal tax, business tax, year-end accounts, returns. Consider preparing worksheets, forms or online systems to make it easier on them. By helping your clients become more streamlined, your job becomes easier too; less time spent on the admin means you become more efficient. And an efficient business is far more likely to be a profitable one! I’ve recently come across the analogy of a good accountant being like a good GP: your GP will refer you to a specialist when you need one. And that’s just what you need to be doing: you take care of the financial side of things and when your client needs advice on other areas, you need a bank of professionals that you can recommend for legal assistance, insurance advice, health and safety, employee contracts, employee handbooks and more. After all being a trusted advisor, means your client will recommend you all the more enthusiastically: and that’s essential to you staying busy all year round. 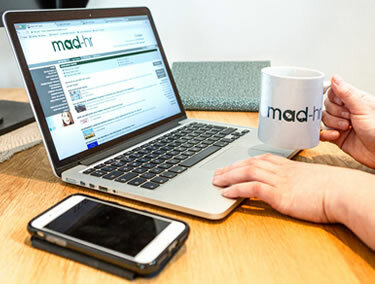 Refer your clients to the MAD-HR toolkit. The toolkit is an online resource that answers all HR-related questions. It’s available 24/7 without the cost of employing an HR Manager or talking to a solicitor. Having access to all this help and information, in one easy place to use will save your client time, effort and ultimately, money. Plus as part of the package, we will include access to a 24/7 legal helpline for any issues relating to employment, consumer, health & safety, etc. When you clients sign-up to the Toolkit through your business, they benefit from 20% off their subscription for the first 12 months. Check out of Affiliate pages to register you interest today.